If you’re like many physicians, reporting quality measures to Medicare can be a burden. Why not let that burden pay off, at least a little? 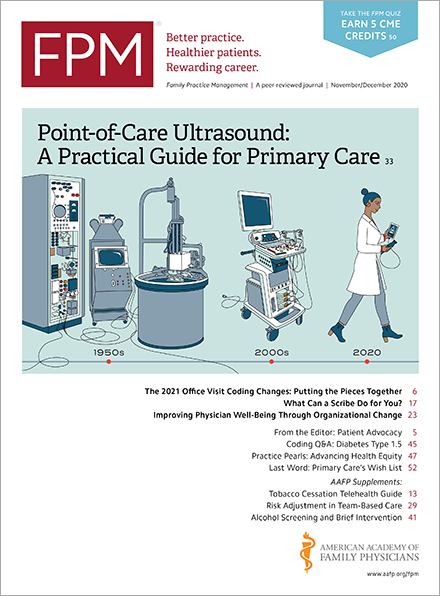 The Centers for Medicare & Medicaid Services (CMS) is conducting a study to look at the ways physician practices collect quality data through their clinical workflows and then how they report that data using different submission systems. The goal is to recommend changes to make the tasks easier, improve the quality of information gathered, and enhance clinical care. CMS is looking for physicians and groups who are eligible for the Merit-based Incentive Payment System (MIPS) to participate in the study, along with a limited number of physicians who are not eligible for MIPS in 2018. Those who are eligible and participate successfully in the study will receive full credit for the 2018 MIPS Improvement Activities category. You can apply for the study(surveys.abtassociates.com) through March 23, and CMS will notify successful applicants this spring. To check your MIPS participation status, please see the Quality Payment Program (QPP) website(qpp.cms.gov). You do not need any outside knowledge of MIPS to participate in the study. Complete a 2018 MIPS planning survey in September/October 2018. Participate in a virtual, 90-minute focus group between November 2018 and February 2019, if invited. Meet the minimum requirements for the MIPS Quality performance category by submitting to CMS data for at least three measures, including one outcome measure, by the reporting deadline of March 31, 2019, through any method accepted under MIPS for year two of the QPP. For participants reporting as a group, their entire group will receive credit. For participants reporting as individuals, only the participating physician will receive credit.